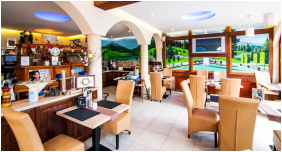 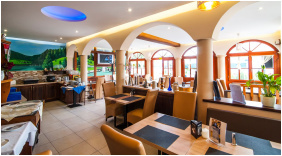 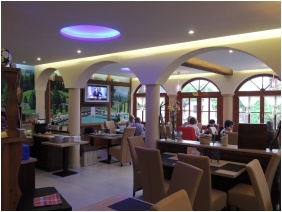 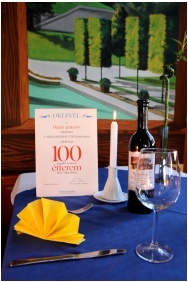 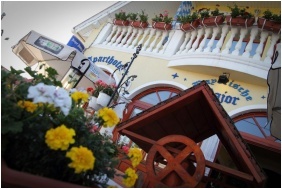 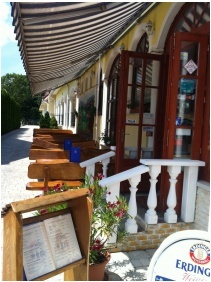 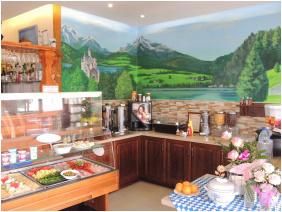 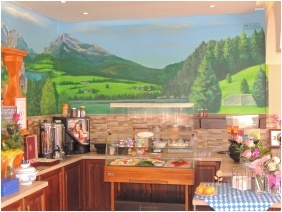 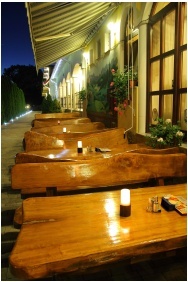 The family-run Bavarian Pension Aparthotel is situated in the centre of Buk - the region offers unique sub-alpine climate and great thermal waters. 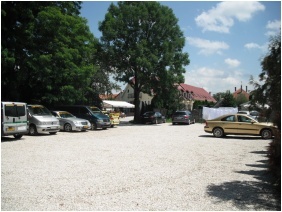 The local spa with medical treatments can be reached with a few minutes ride on a bus or mini-train, which stops at a 100 metres distance from the pension. 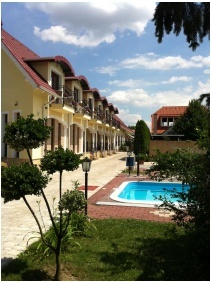 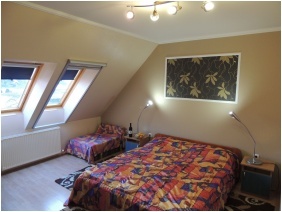 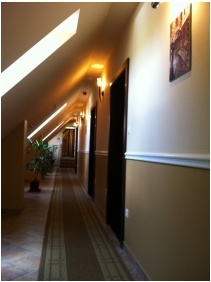 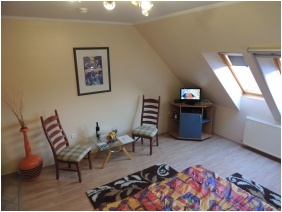 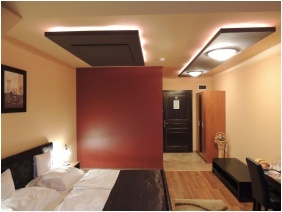 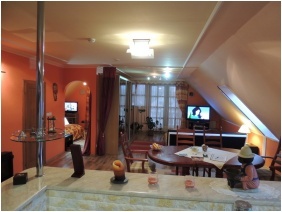 The newly built pension offers double rooms, a single room and an apartment. 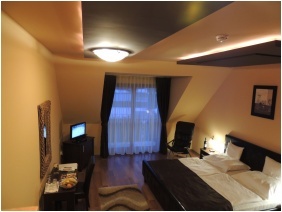 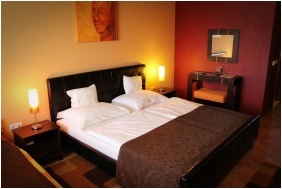 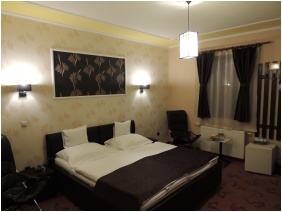 Room equipment includes a bathroom with shower, minibar, satellite TV (with movie channels), and WiFi Internet access. 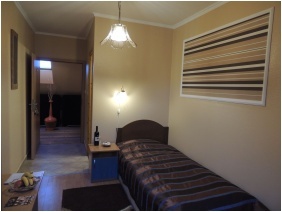 Each room can accommodate an extra bed and for families and groups additional apartments are also available 200 mteres away from the main building. 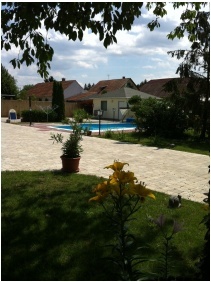 An 8-meter long swimming pool and leisure beds await those who love being out in the sun, and a large walnut tree offers nice shade for those who prefer cooler places. 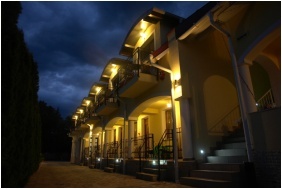 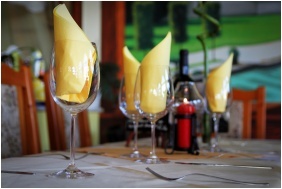 Sports facilities include table tennis, badminton, bicycle rental, fitness equipment, infra sauna. 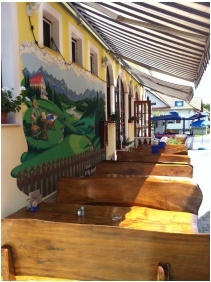 Barbeque equipment is also available in the courtyard. 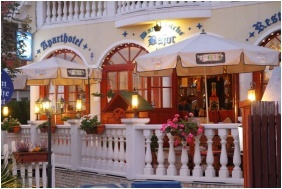 Check availability and best rates in Bajor Pension Aparthotel!